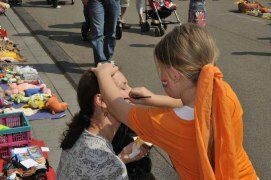 On Queensday, April 30th, all Dutch people put on something orange (the colour of Holland), paint their faces with the Dutch flag (Yatzie did not like that part! 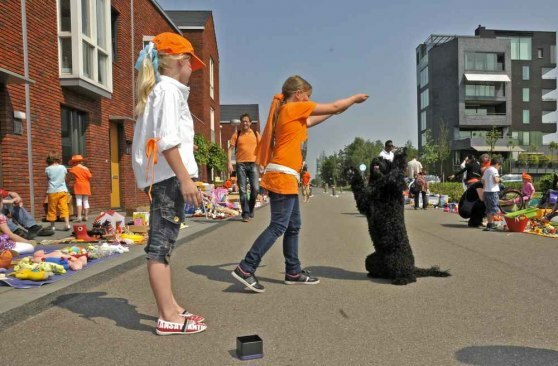 ), gather old toys and clothes and meet on the streets, selling and buying in an atmosphere of festivities! 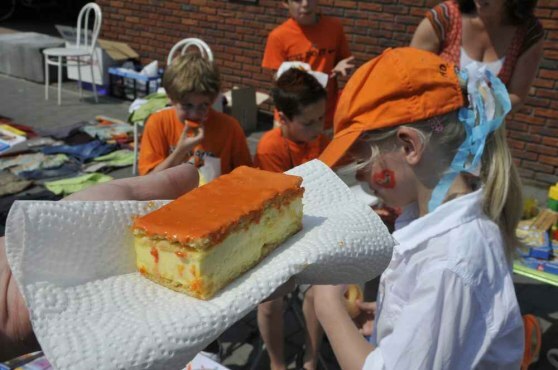 What you also have to do this day is eat Tompouce - an orange, creamy, delicious cake. Yatzie loved it and what could be more appropriate than eating it the Tompouce as a PUSS (kiss in Swedish) from mummy! Queensday is of course about celebrating the old Queens birthday, and the Dutch country in general, but it is also a day when children like the idea of making a few Euros from what they sell. So we set up a circus show, with Yatzie - "Hondeshow, 10 cents"! She did all her tricks under instructions of minimum Margot. Well done circus-team! 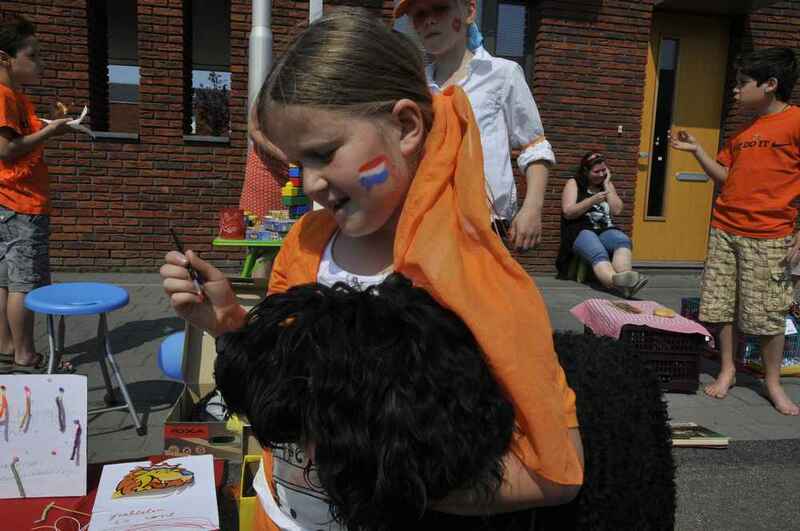 our little prinsess on queensday!! 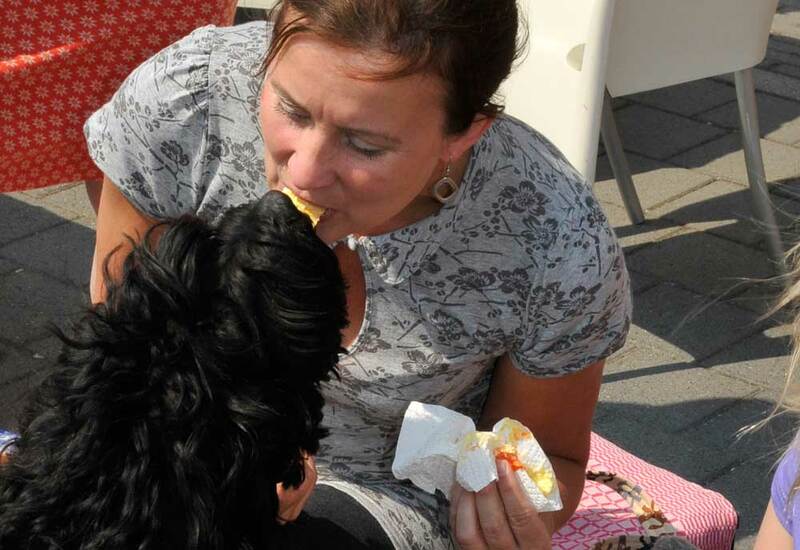 Oma Ien is so proud and also proud of Yatzie the wonderdog. Did they get any money? ?